After a car accident that was not your fault, it’s likely that you will receive paperwork from the responsible party’s insurance company. Obviously, the party’s insurance company will want you to sign these as fast as possible, but we advise pausing before you sign anything. 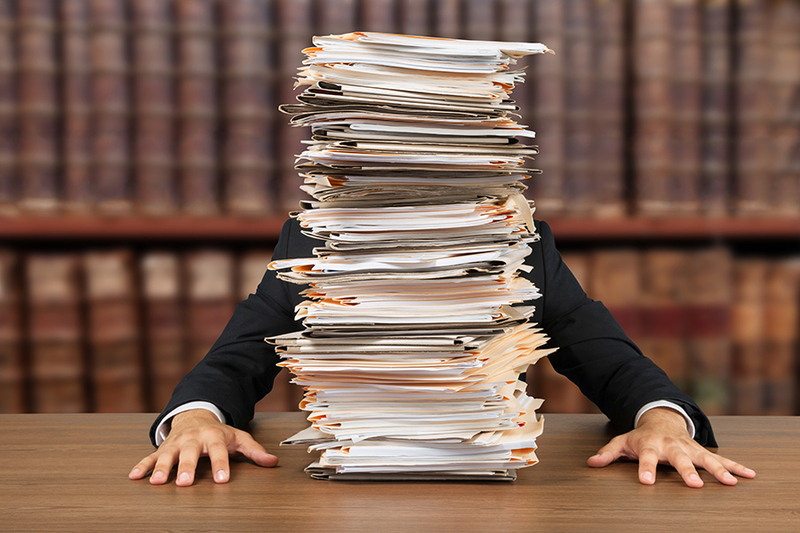 Many times, it is not in your best interest to complete these documents, as they can be used to deny you full and fair compensation for your claim. In this article, we outline 3 of the most common forms victims of car accidents can expect to receive from the at fault party’s insurance company. 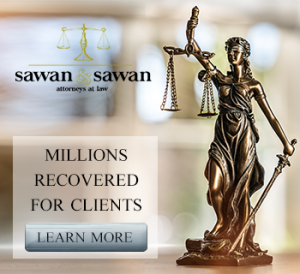 If you or a loved one have been injured in a car accident, before you sign anything, reach out to the family of car accident lawyers at Sawan & Sawan today by calling 1-866-INJURY-0 (ZERO). All initial consultations are free of charge and no risk to you. Many times, we see significant property damage after a car accident – often leading to a vehicle that is so damaged that it is considered a “total loss” or “totaled”. When this happens, victims of a car accident will often be provided a “property damage release” in order to receive compensation for the damage caused. However, since this releases the at fault insurance company from any further payments on the property damage – signing it has serious legal consequences. If you later find that the money paid was inadequate, or that there was additional property damage, this release can be used to limit any further compensation. Before you sign a property damage release, call our family of lawyers at Sawan & Sawan risk free at 1-866-INJURY-0 (ZERO). The medical release is a HIPPA compliant document that provides the opposing insurance company with the legal right to access your healthcare records – sometimes spanning a broad and expansive period of time. A tactic that many insurance companies use is that – upon receiving this authorization – they will begin searching for any remote past injury to help to minimize your claim and blame as the cause of your injury after a car accident. For example, assume you got a sprain back while playing a sport 10 years ago. If you are now complaining about an injury to your back, the insurance company may attempt to blame the sports injury as the cause – rather than the car accident you were more recently in. There is often NO good reason to sign a full medical release. Clients are almost always better working with a car accident Attorney to gather medical records and bills – and after a thorough review, provide them to the opposing insurance company. If you are being asked to sign a medical release after a car accident – call our family of lawyers at 1-866-INJURY-0 (ZERO) today to discuss your options and best strategies. This is one of the most important documents after a car accident, and at some point in the settlement of your claim, you will be asked to sign one. After you sign this document and collect compensation – you will have forever released the insurance company and the responsible party from liability. Unfortunately, many car accident victims sign these documents in an effort to settle their claim quickly – before they fully understand the consequences or the extent of their injuries. Since this document will forever close your claim – you should absolutely never sign one until you have had an opportunity to thoroughly discuss it with a qualified car accident lawyer. This document often includes information such as who was in involved in the car accident, that the car accident injured you and an amount of compensation. This is usually the last form you will sign before receiving compensation for your accident.